To me, there is nothing better than weekend mornings. Why, you may ask? Let me tell you. I’ve always been a morning person. Ever since I was small, while the rest of the world was too preoccupied with catching up on their sleep, I was eager to start my day. Besides, that’s when the best cartoons were on. When I was older and participated in high school sports or theater productions, our practices would always take place in the mornings. Moving into college, my habit of rising early persuaded me to sign up for 7:30 a.m. classes. Waking up before everyone else allowed me to bask in the quiet and actually get some “me time”. What do I like to do when it’s quiet before the night owls decide to start their day? Have a well-brewed cup of coffee and read the news; and, one of my favorite places to do that is Rustica Bakery in St. Louis Park. My husband and I have been going to Rustica for quite a while since we moved to the cities close to three years ago. We keep coming back because of their dedication to making artisan breads and pastries the old fashioned way: with hard work and good ingredients. Most importantly, I come back because of their amazing coffee, which is sourced Dogwood Coffee Company and brewed to perfection. You really can’t get a bad cup here. 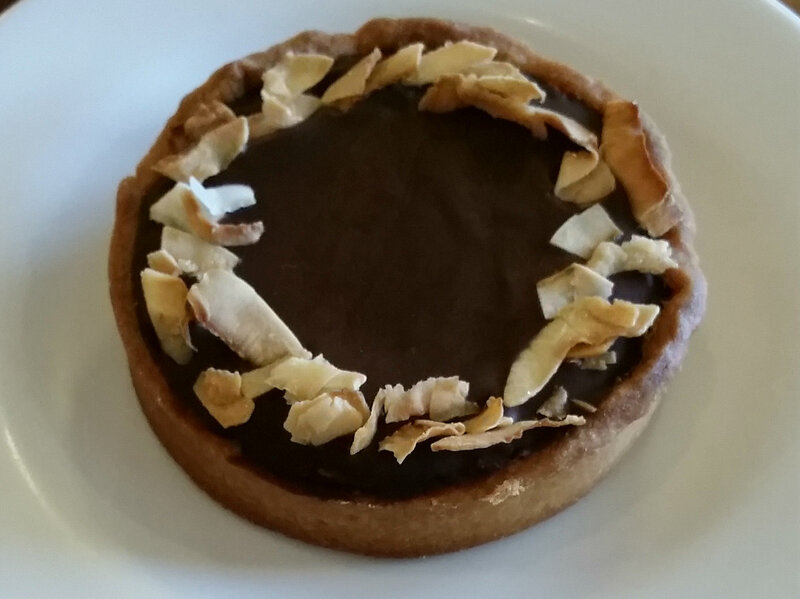 This morning, I had a vanilla latte (above) and my husband had a coconut chocolate tart (below). I like Rustica because it’s a meeting place for everyone. On a typical Saturday morning, you can find anyone from students doing homework to families enjoying breakfast together and everything in between. Tony and I go for the quiet before things get too busy, grab a copy of The New York Times or StarTribune, and settle in to catch up on the news while sipping on my favorite brew. After this, nothing could have ruined my day. 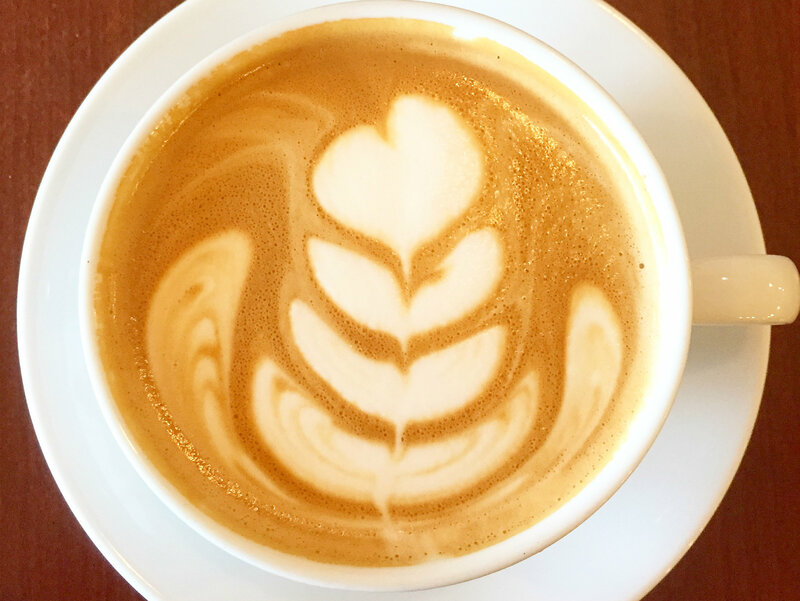 If you’d like to read about more of my favorite spots to sip on quality coffee, you can read my other posts on Bull Run Coffee Bar and Dogwood Coffee. Also, consider going on a caffeine crawl. This event typically happens in June so stay tuned! 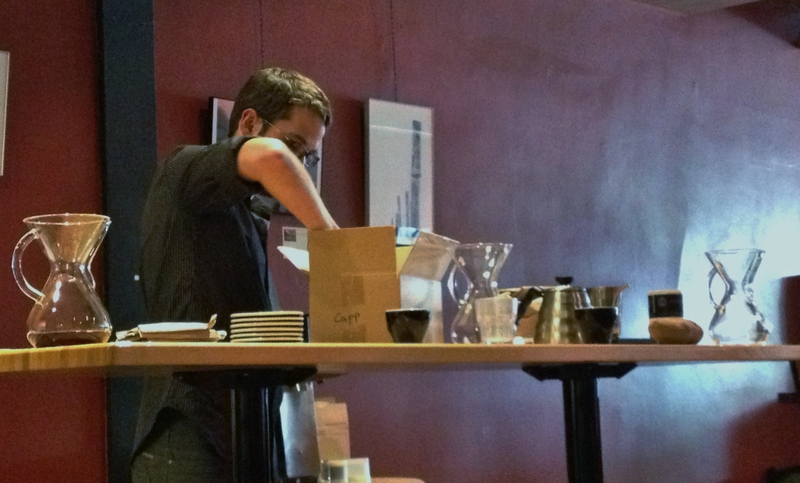 After a stellar debut last summer, the caffeine crawl returned to Minneapolis/St. Paul to appease the taste buds of our city’s coffee addicts. 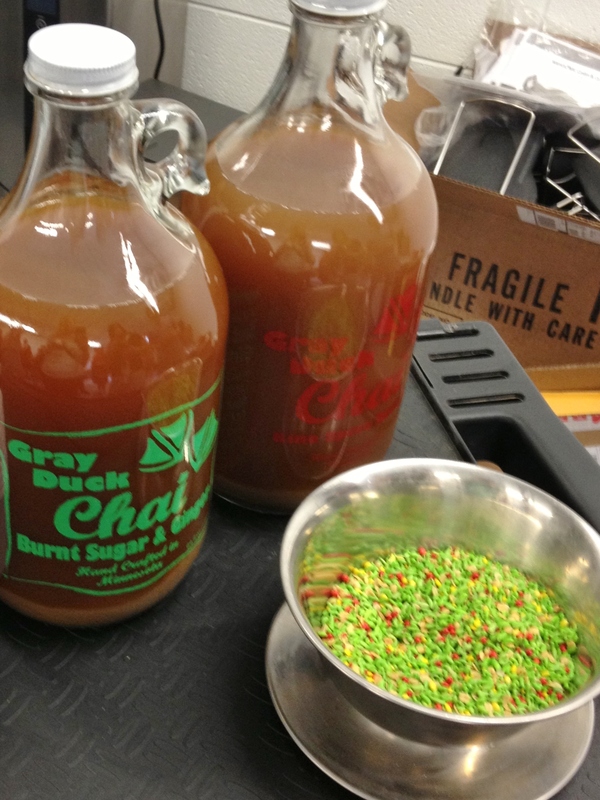 Thanks to the beverage enthusiasts of The LAB, participants enjoyed a fantastic cup of coffee, quality tea and one of my personal favorites from last year’s crawl, Gray Duck Chai. 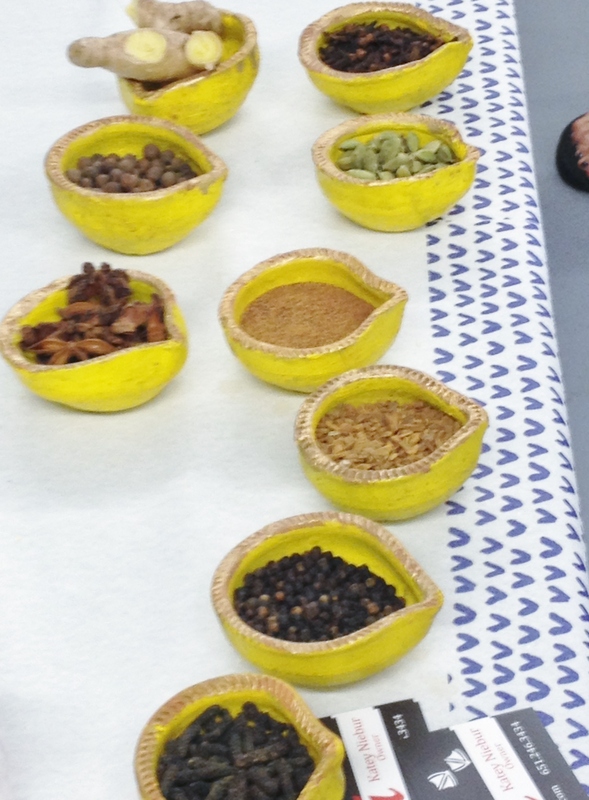 In addition, crawlers had the opportunity to learn more about the quality, technique, and roasting process of the products. At each stop in the crawl, there was a brief presentation and a selection of free drinks available to attendees only. Crawl 2014 Participants: Angry Catfish Bicycle + Coffee Bar, Bull Run Coffee, Dogwood Coffee, Gray Duck Chai, Groundswell, J&S Bean Factory, Peace Coffee, Rustica Bakery and TeaSource. Being a woman that likes plenty of options, I definitely appreciated the option to choose your specific Crawl route. There were six different routes accessible by bike, car or bus ride. Luckily, I chose to drive a route because we had a bit of rainy weather that day. Despite the downpours, that didn’t stop biking teams from completing the crawl. You go! Quality coffee is definitely a good motivator. 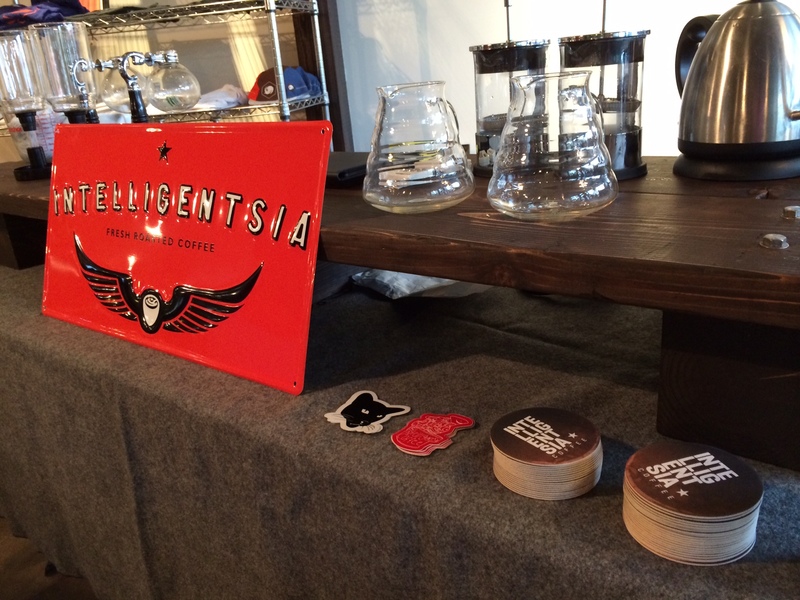 To follow the Caffeine Crawl as it makes it’s way across the U.S., connect to their social media. 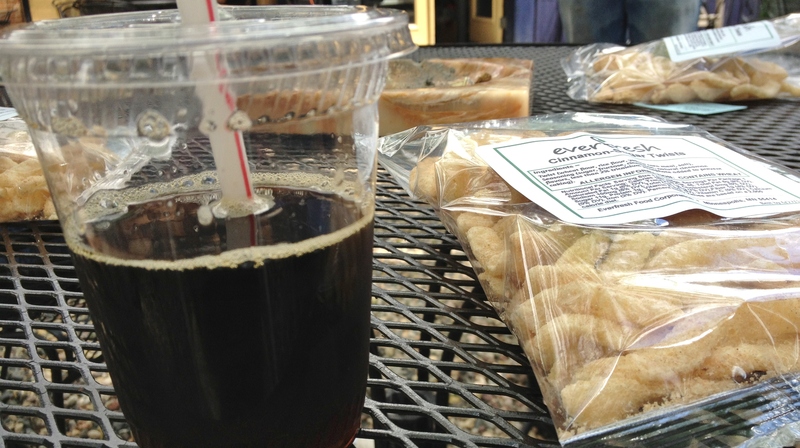 while drinking less coffee, thus saving money in your wallet for other things, like Rustica’s pastries. (More on that later). During their presentation, the baristas also passed around coffee beans that had completed different stages in the roasting process. 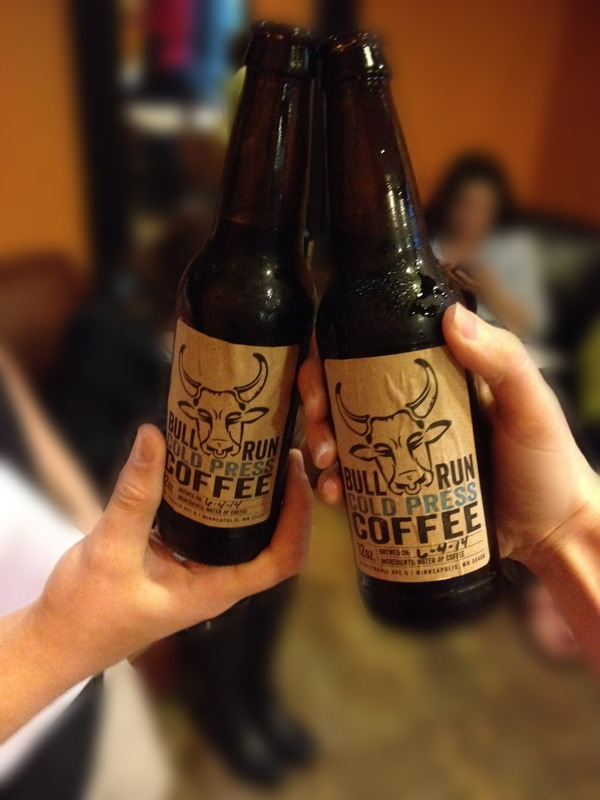 Then they let us sample the cold press coffee made from those beans. 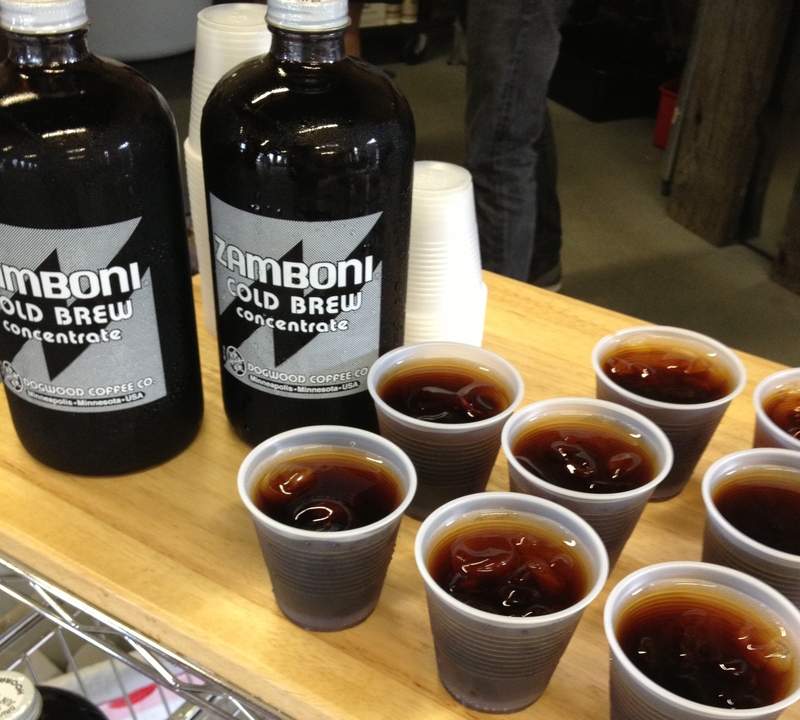 It was awesome to be able to sample cold press brewed from beans that completed different states of the roasting process. I now know that I prefer my cold press brewed with medium roasted beans. The next stop was TeaSource, another repeat from last year. I want it to be clear, that I chose to go on a crawl that had repeat coffee shops because 1. I live in Minneapolis and hardly get over to St. Paul, 2. I wanted to see if they were different from last year, and 3. the rest of my crawl was new. I digress. TeaSource was actually one of my favorite stops on this crawl. 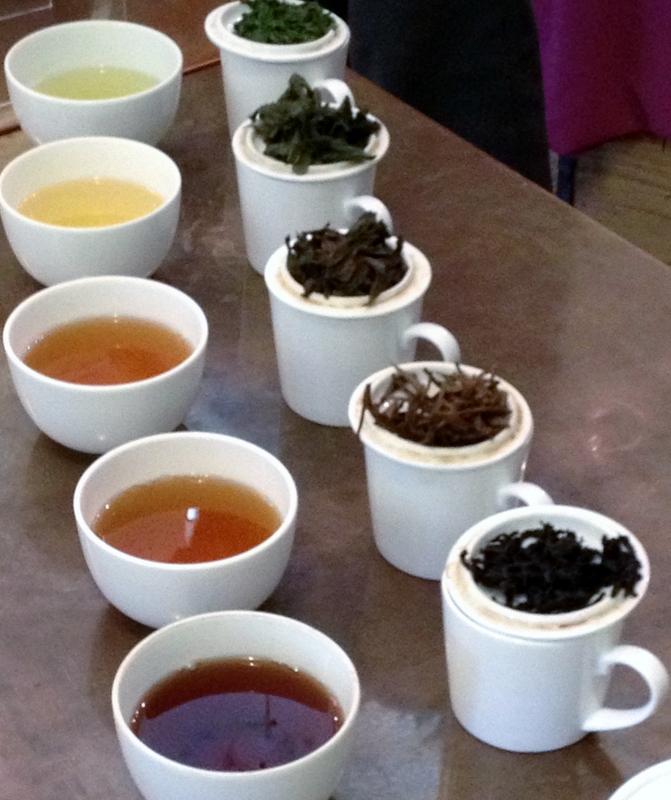 Unlike last year, which focused on a variety of tea from black to green, this year’s presentation was all about how to fully experience a good cup of tea. They first introduced a new Japanese green tea call psy midori. The owner of Tea Source had recently visited a 140 year old family-owned farm in Japan and decided to start selling their tea here in Minnesota. Steeped to perfection, this tea was clean and crisp. 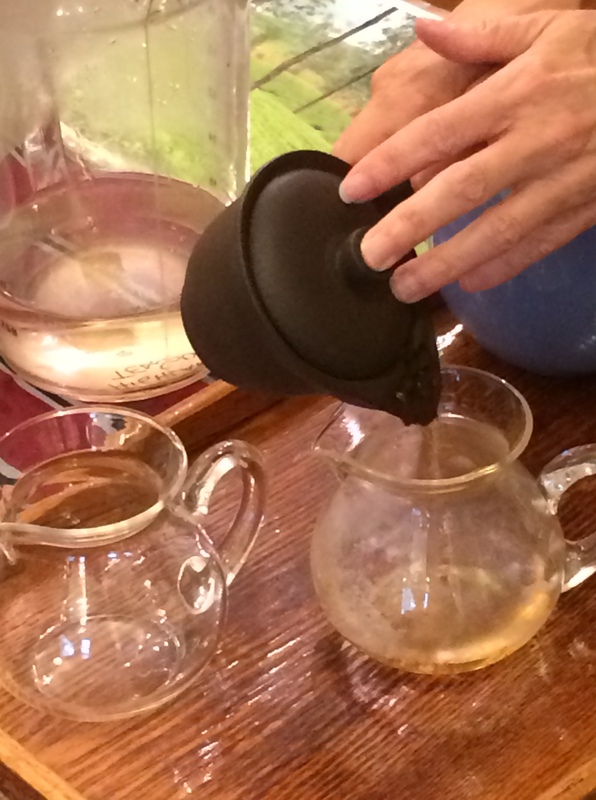 The bulk of their presentation surrounded their Shou Puer tea, which is what they recommend for those willing to replace their morning coffee. A unique characteristic of this tea is that it can be brewed with any amount at any temperature you please. Surprisingly, all temperatures yielded a stellar cup of tea. When sampling the tea, it is important that you smell the tea, slurp it and let the tea settle on your pallet to get a true tasting. They recommend drinking slowly because the taste will change depending on how hot or cold it is. 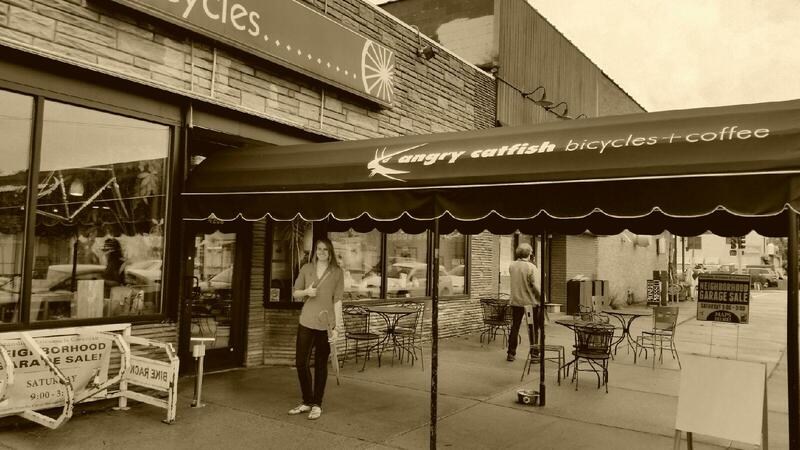 I was quite excited to check out Angry Catfish + Bicycle Shop. I hadn’t heard of this place, probably because I need to visit St. Paul more often. Anyways, in addition to having a casual and hip atmosphere, they gave an awesome presentation demonstrating the proper ways to brew coffee using a French press and a syphon. It was so inciteful to actually taste the difference between the two brewing processes. I was already familiar with velvety taste of French press coffee, but the clean taste of the syphon was…well…surprisingly refreshing. The process of syphoning looked a little demanding, definitely something you’ll have to practice, but if you want a great cup of coffee, it’s worth the effort. For me? I’ll stick with the seasoned baristas for my coffee. Last year, I wasn’t able to make it to their presentation so I was determined to see what they were up to this time around. 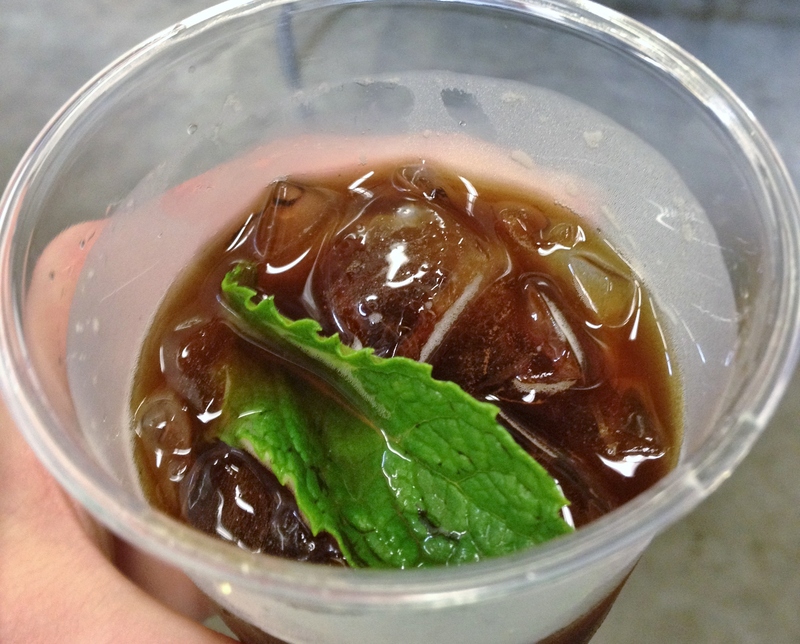 In keeping with the summer theme of the crawl, they gave a presentation that highlighted their cold press coffee and how to brew your own at home. They were even nice enough to give us a cold press recipe to take home. See, I love this place! On a side note, I thought the packaging of their cold press was creative. You can buy a pack of four in these glass bottles. Time to stock up. Another sweet spot of mine is Rustica Bakery. 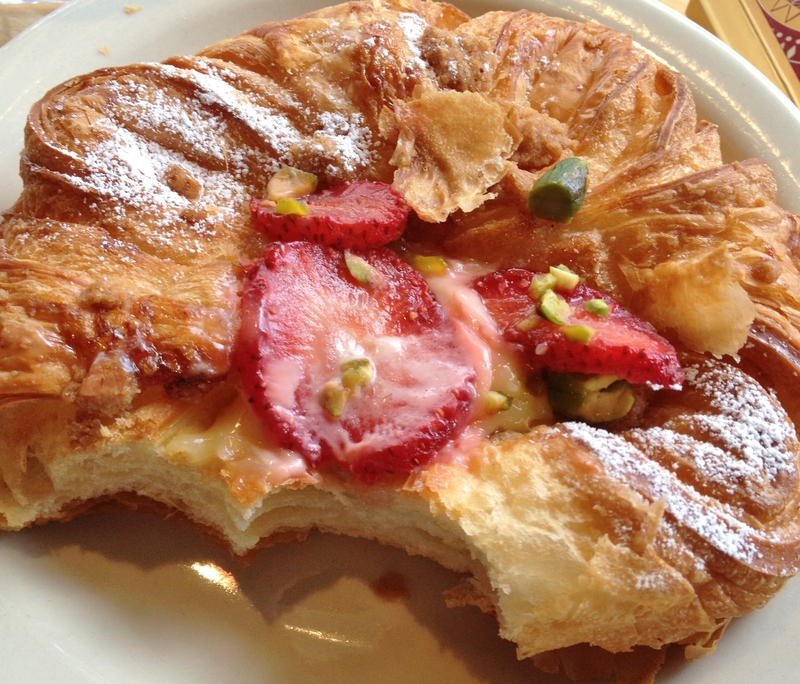 I stumbled across this place when I first moved to Minneapolis and have continued to visit for a freshly baked pastry. They make all of their baked-goods the same morning they sell it so you know you’re getting something fresh. In fact, they emphasize the quality of the ingredients they use in all of their products. One day, I decided to branch out and buy a loaf of their bread instead of a chocolate croissant. I should have known the bread would be ridiculously delicious as well. Told you I had a thing for their baked goods. 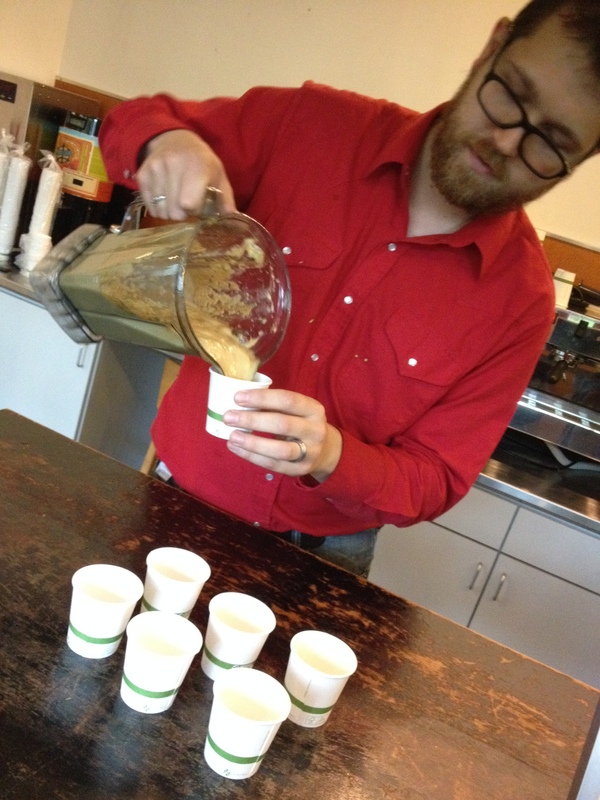 For the crawl, they chose to show Dogwood Coffee’s brewing process. I was able to try Dogwood coffee at their roasting facility last year and, I have to say, Rustica did a fine job of brewing their coffee. 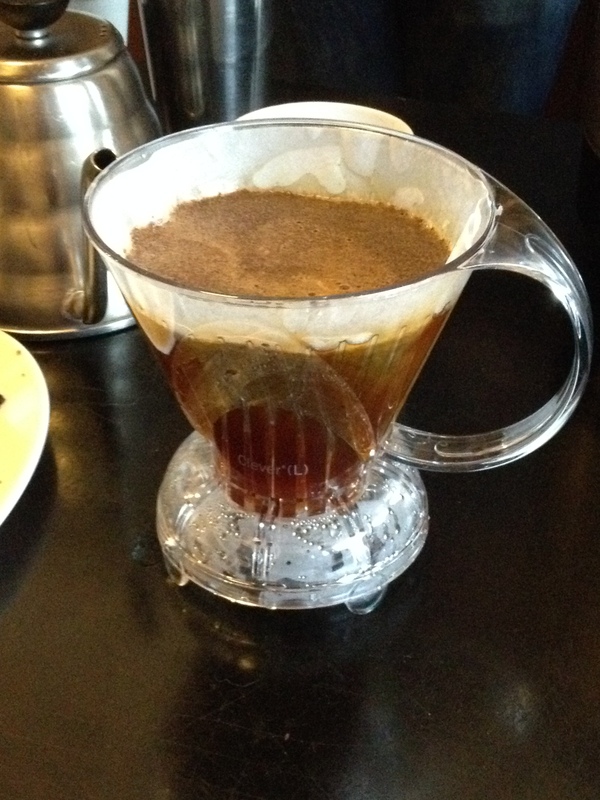 The barista was knowledgeable about the filtering process. Here’s a tip, if the coffee grounds don’t all make it to the bottom of the filter, you definitely need to work on your technique. #protip Yes, I did just add a hashtag into my post. I love Twitter. Deal with it. 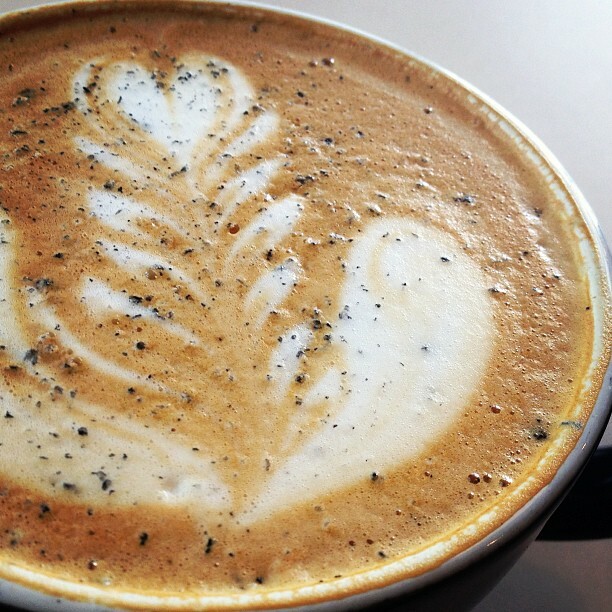 From their coffee to their breads, Rustica has made it on my list of favorite cafes in the Twin Cities. I was incredibly thankful that this was our last stop on the Caffeine Crawl. Let it be known, I was not getting bored on the crawl. I probably could have gone to a few more coffee houses, but what made Wonderland Park special was their take on coffee. Our presentation didn’t focus on black coffee like the rest of the stops (minus TeaSource). Instead, Wonderland Park baristas brewed up a few drinks containing espresso, but with ingredients that would surprise you. The first drink was espresso with blueberries. Odd combination, right? Wrong! It was actually pretty refreshing for a summer-time drink. The espresso paired wonderfully with this fruit. The last creation we sampled as a delightful blend of espresso, sweetened condensed milk and…wait for it…avocado! That last one through me for a loop too, but it was fantastic! The avocado added a smooth texture to the drink and made it seem like a treat. This is a must stop cafe for summer-inspired beverages. Dogwood Coffee Company is a small, specialty coffee roaster in Uptown right off Hennepin Avenue. They serve their coffee single-cup style; single-cup style means that each espresso is brewed to order and not a minute before. It’s important give a call-out to Dogwood Coffee Co. because of their dedication to working with producers, exporters, importers, agronomists and educators who focus on sustainable living. Building relationships with these individuals is clearly important to Dogwood Coffee Co. and this goal is apparent when reading their blog. 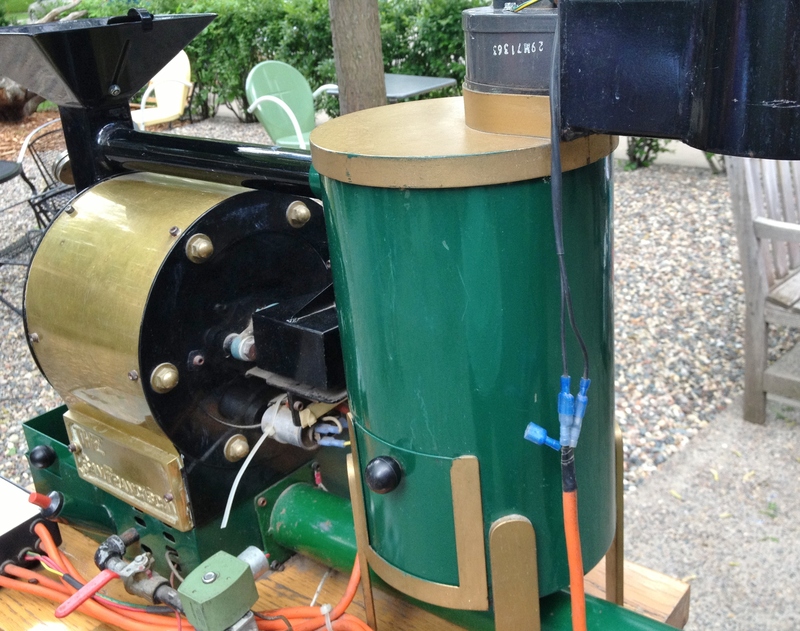 Yes, a specialty coffee roaster that blogs! 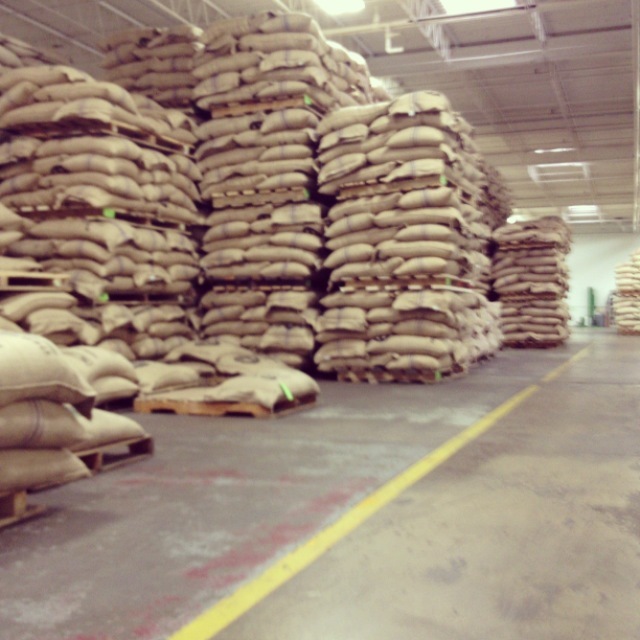 They post valuable content ranging from their experiences sourcing product to their favorite coffee moments. In addition to their outstanding dedication to providing a quality cup of coffee, they also work with local groups within Minnesota to make their coffees special. They even go as far as sourcing the milk from local Minnesota producers! I have to say, I’m very impressed with their dedication, passion, knowledge and involvement in enhancing the coffee experience. I quickly want to mention their location. 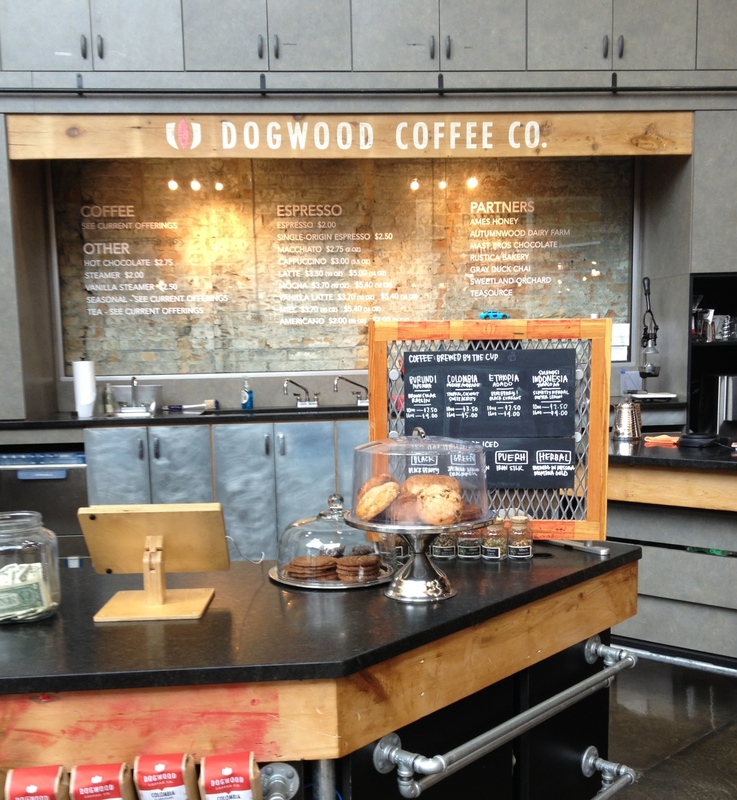 Dogwood Coffee Co. is located in the Calhoun Square Shopping Center. This place piqued my interest even more when I saw the entire brewing station in an open space! Literally, a shopper could walk right into the area behind the counter. What a perfect way for customers to view their brewing technique! Lastly, there is a seating section that gives you a great view of Hennepin Avenue. P.S. I’m also a sucker for huge windows that let me look outside when I write. This place definitely got my creative juices flowing!